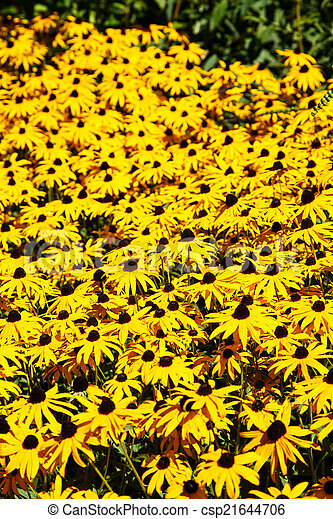 Field of black-eyed susans. 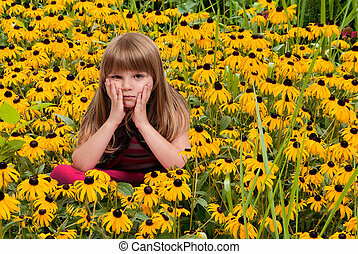 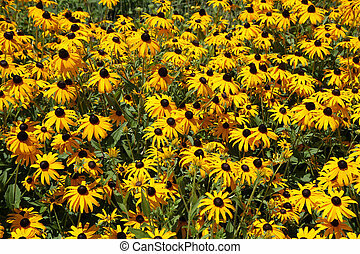 A field of brown-eyed susans in a field of green in a garden. 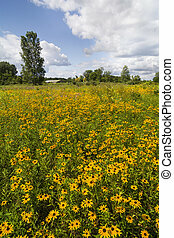 A spring field of Black Eyed Susans. 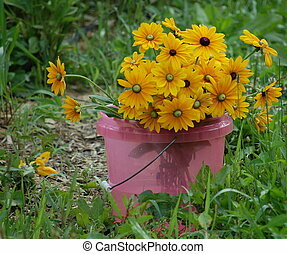 Flower rarm harvest bucket of black eyed susans. 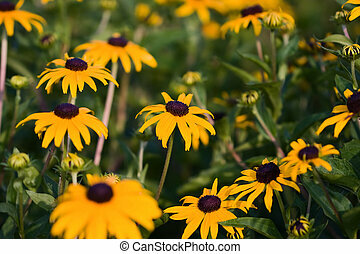 A bunch of black eyed susans in a garden. 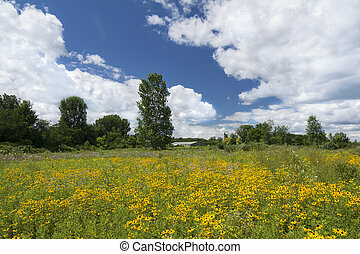 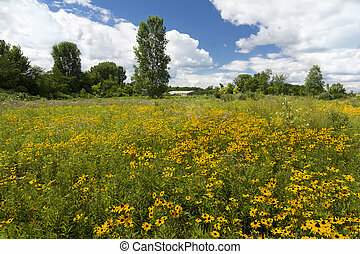 A field of yellow flowers called Black-Eyed Susans against a beautiful white puffy cloud sky. 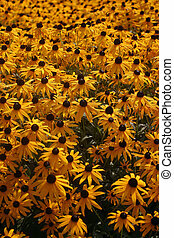 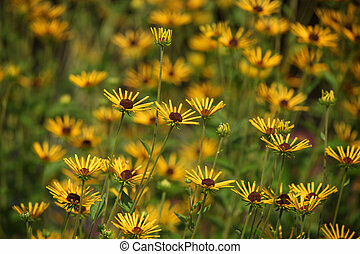 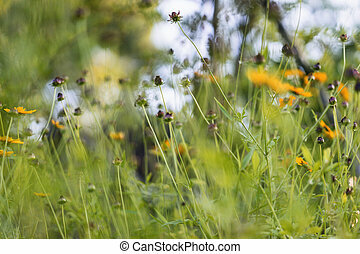 Group of Black Eyed Susans in a garden shot from above. 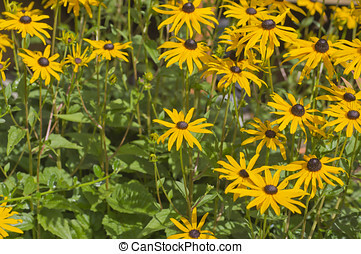 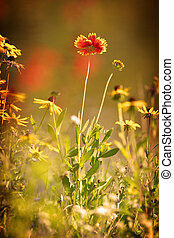 A colorful clump of black-eyed susans glowing in the summer sun. 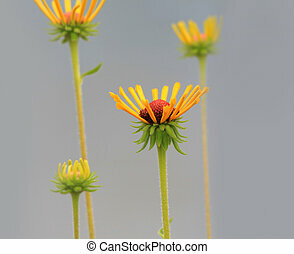 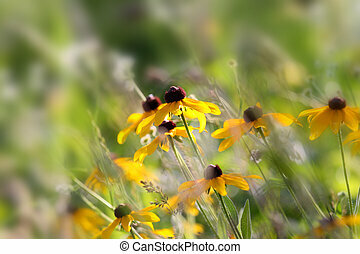 Abstract closeup of Black Eyed Susans and Seedpods waving in the breeze. 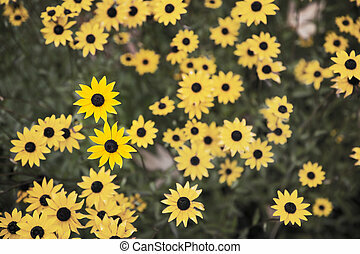 Lots of blurs.